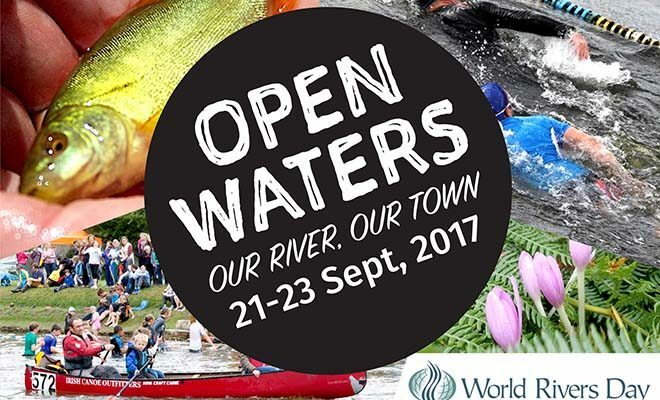 Thomastown Community River Trust (TCRT) will this month present ‘Open Waters: Our River, Our Town’. This is a series of educational and community-focussed activities to celebrate World Rivers Day 2017. The film will be shown in Thomastown Concert Hall on Marshes Street at 8 p.m. on Thursday September 21. Admission will be free, with donations to Thomastown Community River Trust being welcomed. On Saturday September 23, you can join in a celebration of another successful summer season at the Thomastown Weir Pool. Activities there will begin at 10 a.m., and there will be a celebratory swim from 1 p.m. Check out TCRT on their Facebook page and Twitter feed (@theweirpool) for latest information and more announcements in the lead up to the Open Waters events!